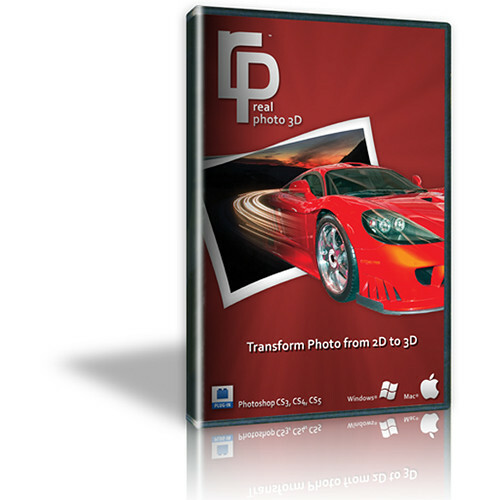 Real Photo 3D Photoshop from SPC is plug-in software for Adobe Photoshop CS3, CS4, CS5 and CS6 that allows you to convert your 2D photos into clear 3D photos. Take advantage of three photo editing options including 3D Face, 3D Manual, and 3D Panorama to easily edit a variety of photos. With the integrated 3D manual editing option you can utilize the Lasso Tool of Photoshop to easily edit nearly any portion of your existing photo for maximum customization. Use it to transform 2D photos into 3D.